Looking for ways to support Harvest Ridge? Check out the options below! Earn money for our school with your everyday purchases! Interested in contributing to the school while holiday shopping or buying groceries for the week? Check out the following businesses who contribute to schools. Many of us personally use both of these, and they are very easy. Once you register, the companies do all the work. Especially at the holidays I help send money our way! HRCCS PTO has the opportunity to raise significant funds without any cost to you! If you are an Amazon shopper, go to smile.amazon.com and select Harvest Ridge PTO as your charitable organization (make sure you choose Newcastle not Rocklin or Missouri). 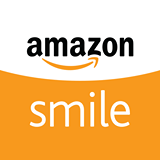 Then, every time you shop on Amazon, start at smile.amazon.com, make your purchases, and a portion will be donated to the HRCCS PTO! (Please note that purchases made on the Amazon app do not currently qualify for this program – you must use an internet browser and start at smile.amazon.com.) Spread the word and ask family and friends to register with our school. Our goal is to raise $1,000 this school year but the sky’s the limit! Please help us meet our goal by registering your Amazon Smile account with us before you begin your holiday shopping. Sign up for the NEW* Shares program by registering your phone number or Save SmartRewards Card with eScrip. Shop at Save Mart Supermarkets and provide your registered phone number or card at checkout. Raley's Gives Back to Schools! You can earn money for our school every time you shop! Simply follow these steps to start giving back now! It's easy to do! Just clip out Box Tops for Education, save in a baggie, and send to the office to be redeemed. How simple is that?